It’s taken a while. It always takes a while. Writing a novel is an exercise in carefully selecting the right words. 50-100.000 of them. I could probably do it faster if I didn’t have a family and a job, but no matter. This is a milestone. It is a huge deal to write a novel. They say everyone has a story in them and if you’re lucky enough to be able to write the words, you may possibly end up with a coherent story to tell. Doing it again is another matter altogether. Your story has been told. Now, come up with another one. Blood and Rain was born out of two things. I wanted to see if I could do it again and I was curious about the Spanish Civil War. Like most, I knew very little about it. I knew it had happened, but little more. So I started digging. I imagined the people stuck there, in that time and place. We are all prisoners of the times we live in, but what was it like to be there at that time? The horrors revealed themselves. The massacres, atrocities, people’s endless thirst for a good life and just society. I saw how women were embraced, how they gained equal rights, how the oppression of the church was broken back, but also how the churches were burned and priests murdered, how internal squabbles destroyed the dream of an anarchist utopia. I learned to appreciate Federico García Lorca and other characters caught up in the war. I learned about Guernica and how Spain was used as a testing ground for weapons to be used during the Second World War. I had to create a character and put him in there. Research is a wonderful thing. I learned about Biblia del Oso, the Bible of the Bear. The first Bible printed in Spanish, by a man that had escaped the Spanish Inquisition. Heck, this project has inspired me to start learning the language. Blood and Rain was a labour of love. I fell in love with Spain, Barcelona and the people of Catalonia. I hope the novel will be read and I dream of it being translated into Spanish some day. 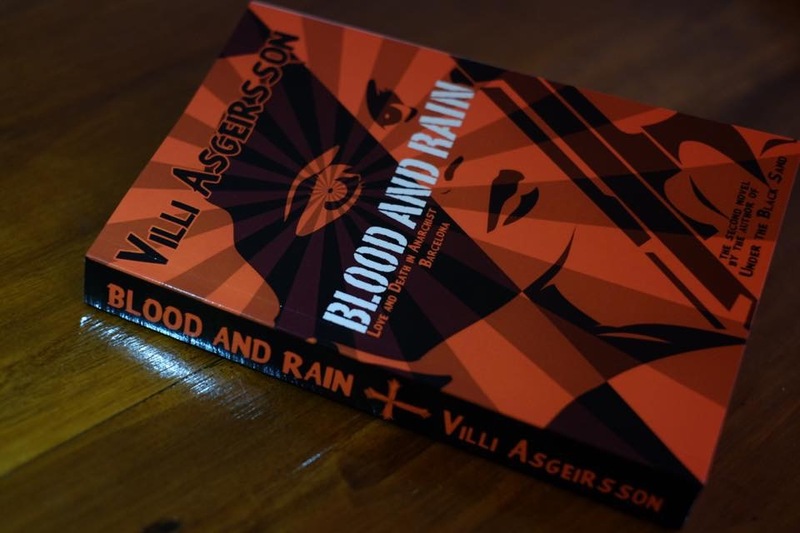 Blood and Rain will be published on 3 March 2017.